His poems are inspired by his travels in and out of Ireland, by the value of the work we do in making sense of our lives, and by the love of doing a beautiful task well. But his poetry is also about the craft of writing, about the poet’s search for, and delight in, the words that come closest to what we feel we have to say. You can listen to Fióna’s reading here and to the Poetry Bus 5 reading here. Fióna Bolger‘s poems have been on placards during the last election, online and in magazines in Ireland (including Can Can, Southword, Boyne Berries, Outburst, Crannóg, Barehands and Poetry Bus), India (The Brown Critique) and the US (The Chattahoochee Review). She has read at the Monday Echo, Dub Sessions, Loq’d and the Ash Sessions in Dublin. She is a member of Dublin Writers Forum and Airfield Writers. Poetry Bus Press recently launched her Grimoire, The Geometry of Love between the Elements, in Dublin. PB5 is the best issue yet of The Poetry Bus Magazine with 126 perfect bound pages of brilliant poetry, articles, reviews, flash fiction, a full colour graphic short story, full page colour illustrations by some of the world’s best illustrators: Calef Brown, Alexandra Eldridge, Akira Kusaka, Steve Simpson, Bett Norris, Jessica Brilli. PLUS an audio CD of poetry readings and music tracks. The reading will include contributions by Alvy Carragher, Phil Lynch, Michael Ray and Michael Gallagher. The competition shortlist of thirty films is now online to view, along with synopses and stills, at www.obheal.ie/poetryfilm. These will be screened at the Triskel Arts Centre in two parts. 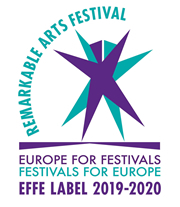 They have been chosen from nearly one hundred submissions of poetry films completed in the last two years, hailing from Ireland, Spain, Canada, USA, UK, Latvia, the Netherlands, Portugal, Germany, Belgium, Sweden, Israel and France. The Ó Bhéal panel of judges will select one overall winner, who will receive the IndieCork festival award for best poetry film at the awards ceremony. **Plus a feature-length Documentary: Ó Bhéal will also be screening the multi award-winning documentary from Leeds, We Are Poets, to be shown in Camden Palace. The full programme for the competition shortlist (with stills an synopses) is here. You can listen to Dimitra’s performance with the jazz trio here (and videos are on the way). Dimitra is also a curator of public art displays/poetry series in Dublin. Her first series – the Ash Wednesday Poetry Series – ran between November 2012 – February 2013 and it showcased the poetry of up-coming and established Dublin poets, including Patrick Chapman, Kerrie O’Brien, Gabriel Rosenstock, and Colm Keegan. A second series – The Black, Strong, and Sweet Poetry Series ran May-July 2013, and featured poems on coffee cups (balckstrongandsweetpoetry.wordpress.com). She also runs a monthly arts showcase at Nick’s Coffee Company called The Ash Sessions. Originally from Ottawa, Canada, she currently lives in Dublin, Ireland. Gary Baus is a self taught saxophonist who has been playing professionally for 15 years. He was raised in Baltimore, USA and lived and worked for several years in Prague, CZ. For the last eleven years he has performed all kinds of music in Cork. He has always loved combining poetry and music. The trio will also play improv to the later open-mic poetry session. You can listen to Mike’s reading here. Michael McKimm is from Co. Antrim and now lives in London. The author of Still This Need (Heaventree Press, 2009) and Fossil Sunshine (Worple Press, 2013), his poetry has appeared in the anthologies including Dear World and Everyone In it: New Poetry in the UK (Bloodaxe, 2013), Best British Poetry 2012 (Salt, 2012) and Best of Irish Poetry 2010 (Southword Editions, 2009). He is an Eric Gregory Award winner, was an International Writing Fellow at the University of Iowa in 2010 and in 2012 was a recipient of an Arts Council England grant to research poetry, geology and climate change. You can listen to Bríd’s reading here, to Louis’ reading here and to Ceaití’s reading here. Tá conaí ar Bhríd Ní Mhóráin ar an gCam, in Oirthear Duibhneach agus í ag oibriú mar scríbhneoir cónaitheach pairtaimseartha le hOidhreacht Chorca Dhuibhne(le tacaíocht Ealaín na Gaeltachta) ó 2003. Ceithre chnuasach Gaeilge atá foilsithe aici: Céiliúradh Cré (Coiscéim) 1992, Fe Bhrat Bhríde (An Sagart) 2002, Síolta an Iomais (Cló Iar-Chonnachta) 2006, Pietas (An Sagart) 2010 agus cnuasach dátheangach – An Cosán Bán/The White Path (Oidhreacht Chorca Dhuibhne)2008. Tá duaiseanna don bhfilíocht (1988 & 1989) agus don bprós (1992) buaite aici san Oireachtas, chomh maith leis an gcéad duais do dhán Gaeilge (2005) i bhFeile Filíochta Idirnáisiúnta na Leabharlanna Dún Laoire/Rath an Dúin. D’fhoilsigh An Sagart a tráchtas M. Litt. fén teideal Thiar sa Mhainistir ata an Ghaolainn bhreá (1997). Louis Mulcahy, potter and ceramic sculptor, has been published in many anthologies including Poetry Ireland, The Stinging Fly, Stony Thursday, The Galway Review, Southward etc., and read on RTE1, Lyric Radio and Radio na Gaeltachta. Twice he got to a short list of five for the Collection of Poems competition at Listowel. In 2012 he was invited to read at the Spring Poetry Festival in Cork; Féile na Gréine in Waterville and at The Fermoy Poetry Festival. In 2013 he shared a reading with Paul Muldoon at Féile na Bealtaine, Dingle. His first full full collection in Irish, Dhá Chlog ag Bualadh, was published by An Sagart Publishing in 2012. His first full collection in English is due out from An Sagart Publishing in November this year. He is Director of the poetry festival, An Fhéile Bheag Filíochta which takes place on the second weekend of November each year in Ballyferriter and Dingle. In 2004 he received an Honorary Doctorate from the National University of Ireland for his pottery and his contribution to his community. He is married to the tapestry artist Lisbeth Mulcahy. Ceaití Ní Bheildiúin was born in Rush, north County Dublin. She moved to West Kerry in 2003. Coiscéim have published three volumes of her poetry, An Teorainn Bheo (The Shifting Boundary (2007), Púca Gan Dealramh (Good-for-nothing Pooka (2010) and most recently Meirge An Laoich (The Hero’s Banner) (2013). You can listen to Jorge’s reading here. Jorge Fondebrider is an Argentinian writer and poet. He was born in Buenos Aires in 1956. His published poetry books are Elegías (Buenos Aires, 1983), Imperio de la Luna (Buenos Aires, Libros de Tierra Firme, 1987), Standards (Buenos Aires, Libros de Tierra Firme, 1993) and Los últimos tres años (Buenos Aires, Libros de Tierra Firme, 2006). With Gerardo Gambolini, he edited and translated Poesía Irlandesa Contemporánea, the first bilingual anthology of contemporary Irish poetry published in a Spanish speaking country. In addition he has translated Peter Street & Otros Poemas, by the Irish poet Peter Sirr, and Antarctica, Walk the Blue Fields and Foster, by Clare Keegan (published by Eterna Cadencia Buenos Aires). He has also published La Buenos Aires Ajena (Buenos Aires, Emecé, 2000), a history of that city told by foreigners who visited it between 1536 and 2000; Versiones de la Patagonia (Buenos Aires, Emecé, 2003), a history of Patagonia, in which he juxtaposes diverging accounts of the of the same historical events, and La París de los Argentinos (Buenos Aires, Bajo la luna, 2010), which includes a history of Argentinian emigration to France and a history of France told by Argentinian witnesses. He has also translated many books of contemporary French poetry – Guillaume Apollinaire, Henri Deluy and Yves Di Manno, among others, and the anthology Poesía Francesa Contemporánea. 1940-1997 (published by Eterna Cadencia, Buenos Aires). In 2009 he co-founded with Julia Benseñor the Club de Traductores Literarios de Buenos Aires (http://clubdetraductoresliterariosdebaires.blogspot.com). The full programme will be available from October 6th at this link. 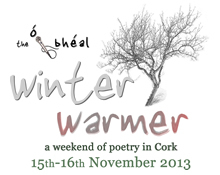 We’re delighted to announce Ó Bhéal’s first Winter Warmer festival weekend. Twenty-one poets will read and perform over two days in the new amphitheatre at Sample Studios, Cork. Poets confirmed to read include Rachel Warriner, Cathal Holden, Michael Ray, Seamus Barra Ó Súilleabháin, Cal Doyle, Marie Coveney, Lady Grew, Dimitra Xidous, Christy Parker, Sarah Hayden, Alan Titley, Robyn Rowland, Pat Cotter, Jimmy Cummins, Conor McManus, Julie Field, Doireann Ní Ghríofa, Kit Fryatt, Raven, Anamaría Crowe Serrano and Matthew Geden. Oikos will present a live installation incorporating poetry, influenced by butoh and body-weather practices. There’s also a preview screening of Seamus Murphy’s excellent new poetry film Snake: Poetry of Afghanistan’s Women (the world première is not until December), as well as a closed-mic for ten local poets. You can listen to Maggie’s reading here. Published in The Stinging Fly, The Scaldy Detail and Network Magazine, Maggie Breen has been writing since as far back as she can remember. Her debut collection of poetry Other Things I Didn’t Tell, published by Scallta Media in January 2013, is an exploration of self, a paring back of memories, events, addiction and depression, to reveal the truth beneath. She has performed readings at Cáca Milis Cabaret in Wexford Arts Centre, at Seven Towers in the Irish Writers Centre, at the Poetry Evening at Fusion Cafe, Wexford, at the Presentation Centre Enniscorthy for Strawberry Fest 2013, among other events. She has taken part in and drawn immense inspiration from workshops facilitated by, among others, Jim Maguire, Nuala Ní Dhomhnaill, Paula Meehan, Leanne O’Sullivan and Mary O’Donnell. Originally from Monageer, Co. Wexford, she now lives in Dingle, Co. Kerry. Canadian poet and singer/songwriter Robert Priest celebrates the publication of 2 new works with his Previously Feared Darkness EU/UK Tour. Priest is the author of seventeen books of poetry, 3 plays, 2 novels, lots of musical CDS, one hit song and many columns for Now Magazine. His words have been debated in the Canadian legislature, posted in the Transit system, quoted in the Farmer’s Almanac, and sung on Sesame street. In recent years his stint as Dr. Poetry on the CBC and his poetry videos on youtube and myspace have helped him find a whole new audience. His book: Reading the Bible Backwards peaked at number two on the Globe and Mail’s poetry list. (ECW) His recent CD Feeling The Pinch, (www.cdbaby.com/cd/robertpriest) continues to receive critical acclaim; and he has recently released 2 new books: Praise poems written for children: Rosa Rose and Other Poems with Wolsak & Wynn; and a new book for adults, Previously Feared Darkness, by ECW Press. You can hear some of Robert’s recordings here at Soundcloud and check out some of his spoken word performances on his popular Youtube channel, youtube.com/greatbigfaced.